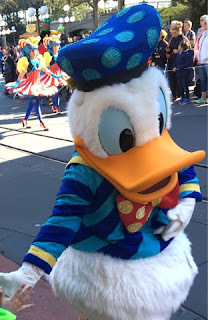 Donald Duck is certainly one of the most popular Disney characters, and he can be found all around Walt Disney World. This is the Festival of Fantasy version. I took this shot while enjoying this Magic Kingdom parade a few days ago.